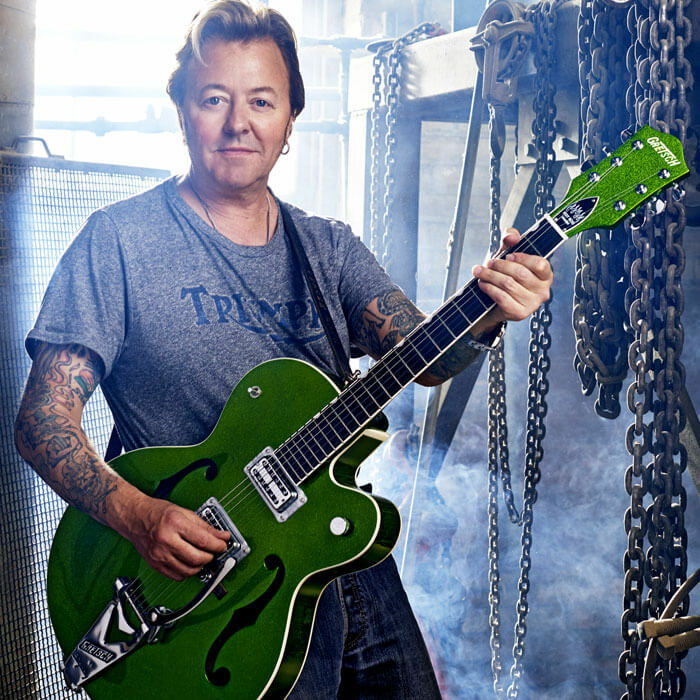 Iconic guitarist, songwriter, vocalist and 3-time Grammy-award-winner, Brian Setzer, is a “Musician’s Musician” credited with continually taking chances with innovative and daring musical styles, while single-handedly resurrecting two forgotten genres of music—rockabilly in the ’80s and swing in the ’90s. Along the way, he has scored chart-topping hits, sold over 13 million records and received the Orville H. Gibson Lifetime Achievement Award for his decorated career as founder/leader of the Stray Cats, his 18-piece Brian Setzer Orchestra, and as a solo artist. He is consistently cited as one of the world’s greatest living guitarists, and in the October 1998 issue of *Guitar World* magazine, Brian Setzer's solo from "Stray Cat Strut" ranked No. 92 on the "Top 100 Guitar Solos of All Time" list. "When I could afford to buy guitars, I tried out different kinds, and Gretsch was the sound I was looking for. It was just that sound in between a Gibson and a Fender. The Gretsh was kind of right in the middle there. It had the twang and it could growl. It’s always been the guitar for me. It’s what I grew up with and it’s very versatile." Brian appeared in the 1987 film, *La Bamba*, portraying rockabilly pioneer Eddie Cochran. In 2002, Setzer was personally requested to induct Chet Atkins into the 17th Annual Rock and Roll Hall of Fame.